While It's impossible to know every app that uses the Google Places API, there are several that make it known that has such intentions. Google started offering limited Google Places API access in July 29th, 2010, which created the opportunity for location-savvy mobile apps to use Google’s new framework. According to ReadWriteWeb.com, there’s also a "check in at this place" feature can use the Places API to search across all the places users might check in for basic information like business name, address, phone number and other descriptive information. That information will be editable by the businesses listed and no caching of data is allowed, so apps will have to ping Places regularly for real-time data. During the Google I/O 2011 Conference, it was released that the Google Places API would open to everyone. Since the launch of the API, Google has launched some of their own apps and integrated Google Places with Google SERPS in three, seven, and ten packs. The numbered packs refer to the number of Google Places results that are mingled with your search results. 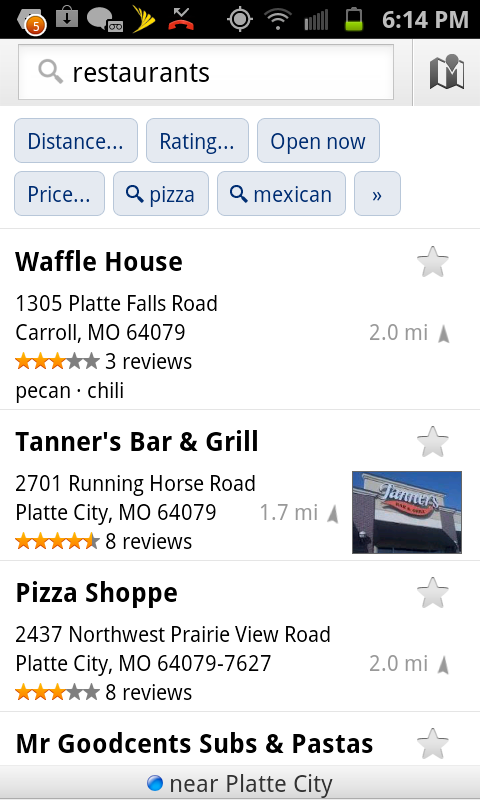 I’ve also noticed some results, for example pizza, returns an entire page of Google Places. However, upon further inspection, a search for pizza returns the ten-pack, but accentuated with more content. 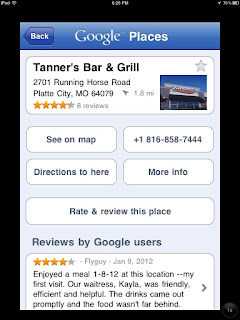 Here’s the mobile page for Google Places. Navigate to it using your mobile device at http://m.google.com/places. 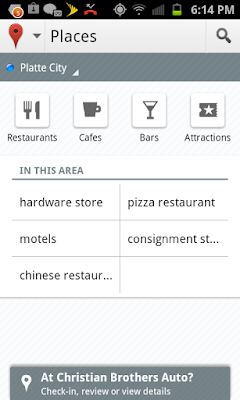 The web app is location-aware (as long as the gps is running) and is ready to help you find what you are looking for. There are many features in the Google Places Mobile App. However, it’s clear by the large button on middle of page, Download From the App Store, that Google wants you to use the app. Other than that on the homepage is restaurants, coffee, bars, atms, gas stations, and hotels. 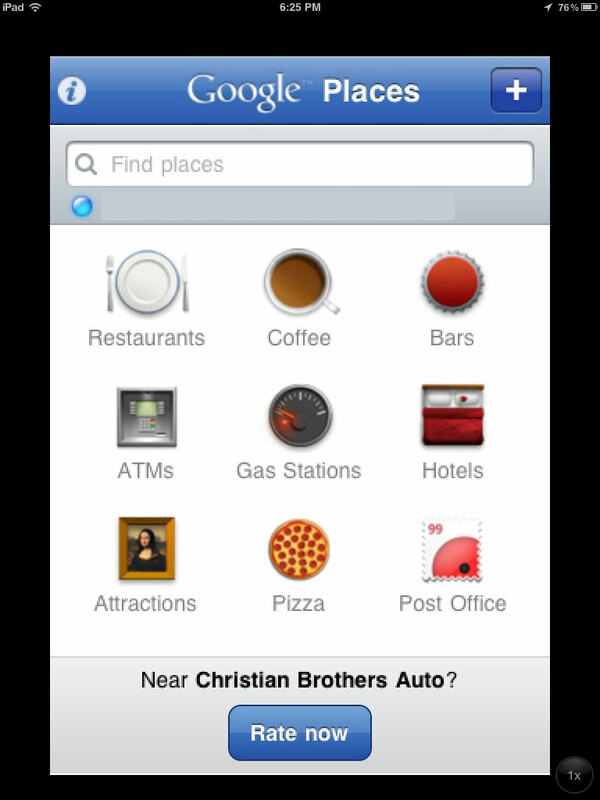 In the screenshot of the app below, you can see attractions, pizza, post office, and a + in the upper right hand corner to add your own categories to the Google Places homepage in the app version only. This is the web app at http://m.google.com/places. Selecting a local restaurant's Google Place page. This is the iPod app. This is the iPad app. 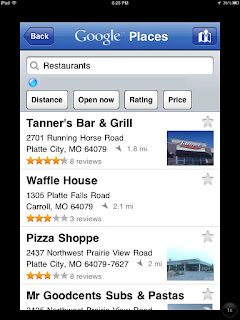 Selecting a local restaurants Google Place page. There are many different views of the same data as illustrated above with all the different screen shots. Here's some other features available in some other applications. 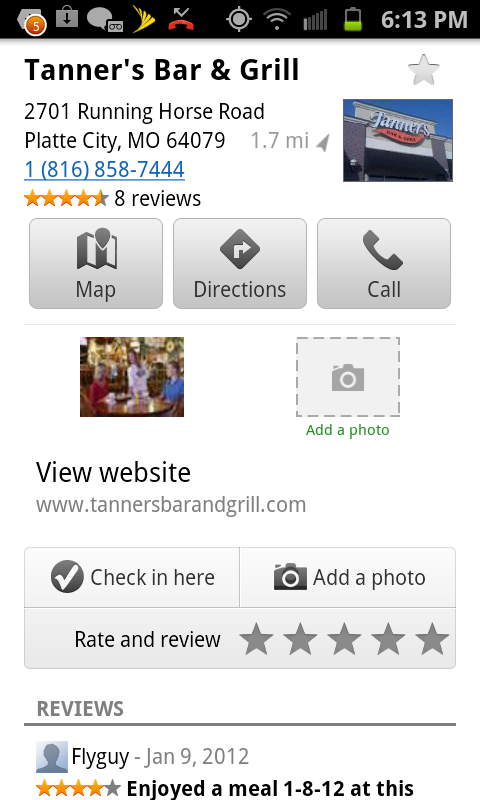 1-Click rating - Only on Android devices can you rate Google Places by using the Rate Places widget with only 1 click. 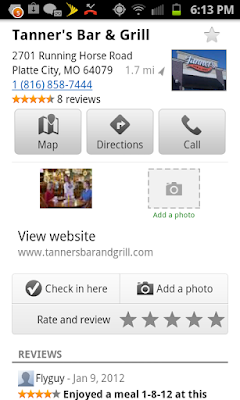 Detailed Information - Browse reviews, contact info, directions, Street View images. Personalized Results - Get personalized recommendations from Google. Built-in - Inside Google Maps get directions, turn-by-turn (Android-only), Street View about Each Google Place Page. There’s also Google Maps with Google Places built-in. Google’s Latitude also includes the capability to use Google Places Check-in. With future support of push notification and auto-check-in, you can see the mobile location wars between GoWalla, FourSquare, Latitude, Places, SCVNGR, and Facebook are just beginning. An excellent conclusion will explain how the experiment answers the question or why it fails to do so and whether or not it supports the hypothesis (500 words maximum). Submit your own Google Places knowledge for everyone to use and check out our Google Places Research page. See what others are saying about the book, share your own comments check out our Google Places Research page.